Based on reviews from 284 experts and 188,302 users. 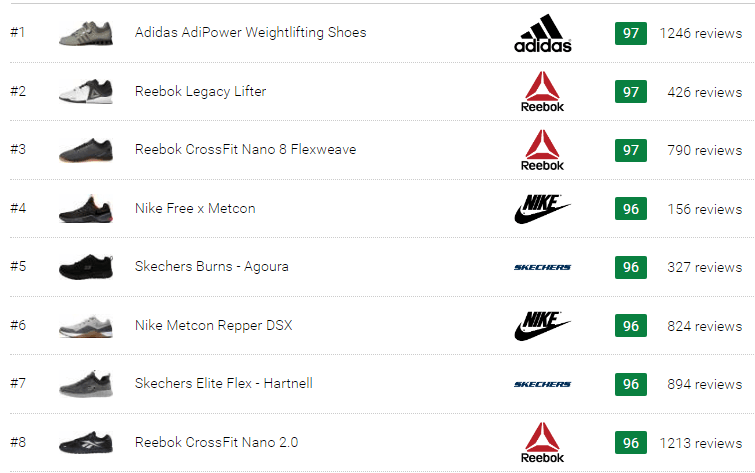 Learn how our rankings work or see our guide to training shoes. Updated Apr 2019. Training shoes is a general term used for footwear worn during various types of workouts. A typical workout session can mean different things from one person to another as it can include any or all of the following: jumping, cutting, sprinting, walking, lifting weights, climbing ropes, dancing, among many other exercises. Some activities are more grueling than others thus it is imperative that people find the right type of training shoes for their undertakings. Its plush sole easily compresses when the wearer lifts heavy weights, resulting in heel wobbling and loss of energy transfer. The integrity of a running shoe gets destroyed instantly during rope climbs, wall push-ups, and other grueling exercises. There is a good reason for why most popular sports brands have a separate category of shoes labeled as “Training,” “Cross-Training,” or “Workout.” If you want to feel sure-footed and comfortable throughout the workout session, then training shoes are your best bet. Not only do the right trainers help in enhancing your athletic performance, but also protect your feet and knees from injuries. Depending on the type of exercise they are made for, training shoes vary in the level of support, cushioning, heel stability, flexibility, weight, etc. But to the untrained eye, there are only subtle differences between a regular trainer, a walking shoe, and a specialized CrossFit shoe, unless you actually aim to distinguish them from each other. Below you can find out about the purpose and specific characteristics of each type. Daily workout trainers are equipped with optimum cushioning, lateral support, and flexibility to accommodate gym workouts, cross-training and HIIT sessions, studio and dance classes. They are also characterized by a lightweight and breathable upper, usually made of mesh and reinforced with synthetic overlays in the high-wear areas. They use a low-profile midsole with a low or medium heel-to-toe drop (0 mm to 8 mm on average). This construction allows for fast and unhindered multi-directional movements. Their midsole units are ready for high impact but are not as plush as the soles of running trainers. A moderate firmness helps workout shoes provide better ground feedback to the wearers. A CrossFit shoe is like a reinforced version of a typical workout shoe. They are both made to be lightweight, flexible, and versatile, yet the similarities end there. 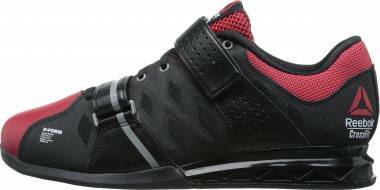 CrossFit-oriented footwear makes use of a thinner midsole with a balance of flexibility and firmness. These shoes are more pliable in the forefoot to accommodate agile, high-intensity moves but have firmer heels to provide a steady base for weightlifting. The average drop in these trainers measures at 4 mm, which puts the foot into a nearly-flat position for a better sense of ground control. They employ various internal and external supporting structures in the rearfoot and the midfoot sections to eliminate undesirable wobbling. CrossFit shoes also have add-ons that shield the facade from the abrasion caused by rope climbing, burpees, and wall push-ups. 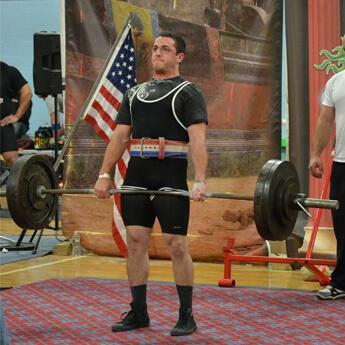 Conversely, a pair of weightlifting shoes is a very different animal. The first difference you’ll notice is its elevated heel that goes as high as 25 mm. Its purpose is to help athletes go into deep squats without straining their Achilles tendon. It also results in an improved lifting form as the torso stays more upright when the feet and legs have an assured foundation. This type of footwear is often made of leather or other durable materials to deliver a secure foothold. Additional midfoot support is delivered by a strap or two atop the instep. Lifting shoes feature a rigid platform under the heel that is made of either stacked leather, wood, or plastic. It is meant to serve as a stable, incompressible lifting base. This design practically enables the lifter to plant the foot firmly on the ground, thereby preventing injury or discomfort. It also makes weightlifting shoes the heaviest among the training footwear. Finally, there is footwear designed specifically for athletic walking. It also utilizes mesh and synthetic materials in the upper unit for comfort and breathability. But the key features of this type are flexibility and cushioning. Shoes for active walking usually employ a soft and pliable foam compound in the midsole. It helps in promoting a natural gait cycle of the foot. Some brands also introduce add-ons in the heel and the midfoot section of the platform to enhance the shock-absorbing properties. Once you know which type of shoe meets your training demands best, it’s time to focus on getting a pair which will accommodate your particular foot length and width. While it is important to consider the shoe’s construction, materials, and technologies, it is essential to feel comfortable and supported in it. Size number indicates the length of the footwear and tends to vary from brand to brand. That’s why some people may find that they have US 10 in Nike, US 9.5 in Adidas, and US 9 in Skechers. Moreover, once in a while companies change the lasts on which they build their shoes which results in size discrepancies even among the models of the same brand. To make sure you got the right size, pay attention to the length first. There should be about a thumbnail’s space between your longest toe and the upper material in the front. Besides, the distance between the heel and the ball of your foot should also align with that of the trainer. That way the shoe’s platform will provide arch support in the right spot and will bend in the same area with the foot. However, finding the right size does not always mean achieving the right fit. Another important parameter is the shoe’s width which is represented by letters A, AA, B, C, D, E, EE, EEE, etc. “B” stands for a regular Medium width for women and “D” is Medium for men. Thus, letters closer to “A” refer to narrower options, while the rest indicate wider widths. Sometimes two people have the same size but require different widths as they need either more or less volume to accommodate their foot shape. Unfortunately, not all brands offer their models in multiple width options, but the good news is that there are leading companies like New Balance and Skechers which are known for releasing their shoes in several widths. Forget about the break-in period! Athletic shoes are meant to fit right from the start. They should not be too tight or too loose in any of its parts. This type of footwear is created to be flexible and adaptive in order to conform to the wearer’s foot right away. For training shoes, it is also vital that there is ample room in the forefoot to allow toe-splaying as it helps stability and control. Don’t forget to put on the same socks which you’re planning to wear with your future trainers. If you require an orthotic insert, make sure to bring it for the fitting because not all training shoes are friendly to such inserts. Finally, as you try on the shoe, walk around in it, do some lights jumps, mimic the exercises which you’re planning to perform in it. Trust your gut and be 100% honest with yourself. Arch support refers to the presence or absence of assisting features which help to maintain healthy foot pronation. While arch support has been playing a significant role in the running shoe category, it has not reached the same scale for training footwear. Due to the agility and ever-changing nature of workouts, it is much harder to incorporate gait correcting features into training shoes. That's why stability and motion control add-ons are never present in CrossFit or weightlifting footwear. They are sometimes found in workout shoes and are quite common for walking shoes, where the gait is easier to correct. So, if you are looking for a pair of supportive workout or walking trainers, read on to learn more about the matter. Neutral training shoes are designed to provide sufficient medial (inner-side) support and shock absorption for those with a neutral foot gait or normal pronation. It implies that the foot performs a natural rolling movement when the heel strikes the ground during running or walking. This motion allows for natural shock-absorption and distribution of impact, thus keeping the foot and the leg free from any discomfort. The cushioning that’s offered by neutral training shoes is also designed to carry and support the form of high-arched underpronators, whose feet roll outwards instead. Stability training shoes are recommended for low-arched or flat-footed overpronators. Usually, a medial post is added to the midsole, inhibiting the excessive inward rolling of the foot as it goes through the gait cycle. Overpronation puts pressure on the ankle and the foot in an attempt to stabilize the body and absorb shock, therefore increasing the risk of injury. Custom orthotic inserts can also be used to correct overpronation. Some training shoes have removable insoles to make way for these stabilizing add-ons. Motion control training shoes cater to people with severe overpronation or underpronation. Just like stability shoes, they may feature a reinforcing structure on the medial side of the shoe. What makes them different from the previous category is the presence of firm, stabilizing technologies in the heel section. However, motion control add-ons are very uncommon among workout shoes and are never present in CrossFit or weightlifting footwear due to the strenuous nature of the exercises involved in these regimens. Motion control features are most likely to be observed in walking shoes where overpronation and underpronation are easier to correct as the foot movement is more moderately-paced and repetitive. How do I find out what arch support I need? Aside from going to a podiatrist, you can also check by doing a pronation test at home. Wet your foot and step on a piece of paper. If your footprint shows half of your arch filled in, you have a normal arch and can, therefore, wear any training shoe. Those with flat arches will see a footprint that has an entirely filled-in arch. You would need stability training shoes or orthotics. On the other hand, high-arched feet show little to no arch in the footprint. You can wear neutral training shoes with minimal arch support. Can I wear workout shoes for CrossFit and weightlifting? While most workout trainers are versatile enough to cope with gym sessions and daily training routines, there are also specialized ones for weightlifting, CrossFit, and athletic walking. 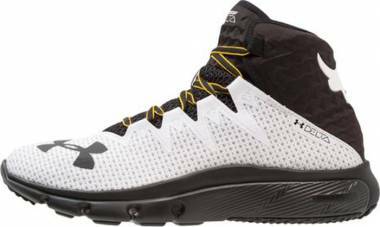 These shoes are designed with a particular kind of training in mind and, thus, employ specific features to help athletes perform effectively. While you can wear workout shoes for all cross-training activities, it is still better to wear specialized CrossFit or weightlifting shoes when you want to start focusing on CrossFit WODs and Olympic weightlifting. These types of footwear are designed to allow the wearer to reach peak performance and maintain proper form. But if you are only starting out on your cross-training journey, you can wear any training shoe, as long as it meets your needs and feels comfortable. What kind of training shoes do I need for studio workouts? Workout shoes that are lightweight, breathable, cushioned, supportive, and shock absorbent are the best footwear for cardio sessions, aerobic classes, dance-based workouts, and other studio activities. Also, look for shoes with smoother outsoles as too much traction can hinder twisting and gliding involved in this type of workouts. For dance sessions, like Zumba or Jazzercise, consider shoes that have a pivot point at the ball of the foot. It is a smooth, round area on the sole designed to make sudden movements easier because it drags less on the floor compared with other areas of the outsole. 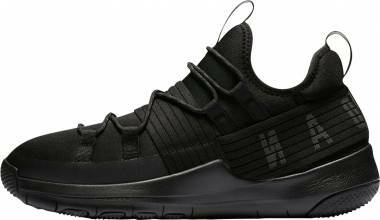 Are training shoes suitable for playing basketball? When shooting hoops, feet need cushioning in order to absorb the impact from jump shots and running. While basketball shoes are the ideal choice for the sport, you can wear training shoes for a ball game once a week or less. It still has enough cushioning to attenuate the ground impact. Can I go hiking in training shoes? The rocky and unleveled terrains are what make hiking challenging and fun. However, they can also up your risk of ankle twisting, slippage, and other injuries. Wearing specialized hiking footwear can prevent such accidents due to the ankle support and traction that they provide. What is a heel-to-toe drop and why it matters? A heel-to-toe drop or simply, drop or offset, is the difference in height between the heel and the ball of the foot created by the shoe’s platform. The highest drop among training shoes is usually found in weightlifting shoes, about 10 to 20 mm. When the heel is raised significantly higher above the toes, the wearer is able to reach greater depth in a squat without losing balance, stressing the Achilles tendon, or sacrificing the upright torso. Other high-drop training shoes which have a differential of around 10 mm include workout shoes and walking shoes with a thicker midsole for enhanced cushioning and shock absorption. These trainers tend to be more running-friendly and are perfect for high-impact exercises. On the other side of the spectrum, there are low-drop trainers with a differential of 0 to 5 mm. This offset is primarily common for CrossFit shoes as they are meant to keep the wearer as close to the ground as possible to ensure a grounded experience and stability. It is also inherent to workout shoes that aim to create a more natural underfoot experience, among which are minimalist training shoes. 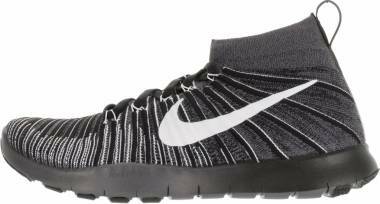 What are minimalist training shoes? This niche of trainers is designed for people who want to go back to the essentials and shift away from external support in favor of acquiring natural strength. While there are no strict criteria on what is considered a minimalist training shoe, it is commonly agreed that such shoes do not interfere with the natural biomechanics of the foot and provide a barefoot-like experience. Compared to a standard workout shoe, minimalist footwear is more flexible and lightweight, has very little or no cushioning, a low or zero heel-to-toe drop, a low stack height (a thin sole), and no arch support. What is the best brand of training shoes? There is no right answer to this question as it all depends on a multitude of factors, including a buyer’s personal preference. Here at RunRepeat, we gather shoes from multiple brands to give you an unbiased overview of the market and let you decide which one to go with. You may already be a loyal fan of one or two brands, but it is also a good (and beneficial) idea to explore other players on the market. Aside from the brand's name and reputation, try considering factors like customer and expert reviews, quality of technologies and materials used, the availability of width options, discounted prices, etc. There is always a chance that a perfect pair of training shoes is hiding behind a name you've never come across before. How long do training shoes last? The durability of training shoes depends on a confluence of factors: its construction, materials used, activities for which it is meant, and the frequency of use. The longevity of walking shoes tends to be measured in distance. Thus, these trainers are designed to withstand about 300 to 500 miles of walking. Workout shoes are meant to cope with a wide array of activities, so they’re made to have a moderate staying power. Their lifespan is usually estimated in hours and is commonly believed to last for 80 to 100 hours of intensive training. However, this is only true on the assumption that the footwear is used only for purposes it is intended for. CrossFit shoes tend to last longer than workout shoes as they have features, such as the rope guard and the toe cap, that protect the high-stress areas. Weightlifting shoes have the most robust build out of the three types and can, therefore, last longer. They also don’t break down as quickly since they are usually worn less than other, more casual sports shoes. A weightlifting shoe can last up to a year or more of regular training. Note! If you start to see signs of wear-and-tear or experiencing unusual pains and blisters before that period, it is advisable to replace your shoe immediately. How to take care of training shoes? Proper care will ensure that your athletic shoes live a long and happy life and serve you well all along. Given the rigorous nature of training, your feet can get hot and sweaty, so it should be no surprise that your training shoes will eventually stink. They will also get dirty, depending on where you work out. Here is how you can get your footwear looking and smelling fresh. Air them out after use. The interior of your training footwear can get damp with sweat that can make them a breeding ground for bacteria. Not only will it cause your training shoes to smell, but it will also increase your risk for infection. Therefore, it is important to air-dry your training shoes after use. Don’t use a blow-dryer as the heat will likely cause damage to your shoes. Clean them regularly. Training footwear is an investment, so cleaning them regularly is a must. For minor stains and spots, wiping away with a damp cloth will do, while more stubborn dirt can only be removed by deep-cleaning them with a shoe-cleaner and a brush. Make sure to use a toothbrush for the mesh upper and other delicate areas. Wash the shoelaces. You can’t clean your laces in the same way you clean your entire shoe. It needs to be put into a laundry bag and carefully washed in a washing machine. Store them in a box with baking soda. If airing out your training shoes still doesn’t get rid of the smell, storing it in a box with a baking soda overnight will do the trick. Another alternative is to leave dryer sheets inside the shoes overnight. Store the shoes in a clean and ventilated place. Let your cross-trainers breathe and keep the odors from being trapped by storing them in an open-air environment when not in use.